A 20-year-old millionaire heiress allegedly sped through a red light, ramming into a crowd and killing six people. 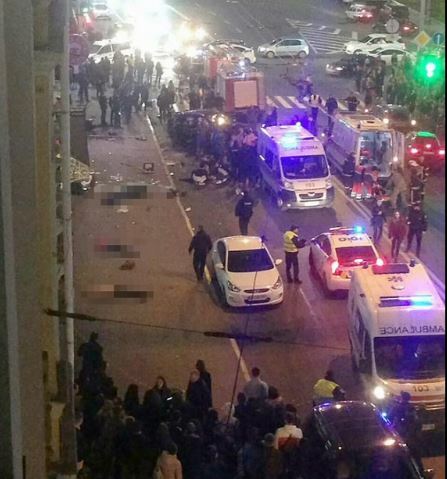 According to reports, a teenage girl died in the crash in the city of Kharkiv, Ukraine, when a black Lexus, reportedly driven by Alyona Zaitseva, ploughed into pedestrians before flipping over on its side. A heavily pregnant woman was said to be fighting for her life in hospital, writes the Evening Standard. Horrific pictures taken of the aftermath showed injured people lying on the pavement along with the car wreckage. Witnesses said bystanders at the scene ’rounded the driver’ immediately after the crash. One onlooker, who was desperately trying to help those injured in the crash, described the scene as being ‘like a war zone’. 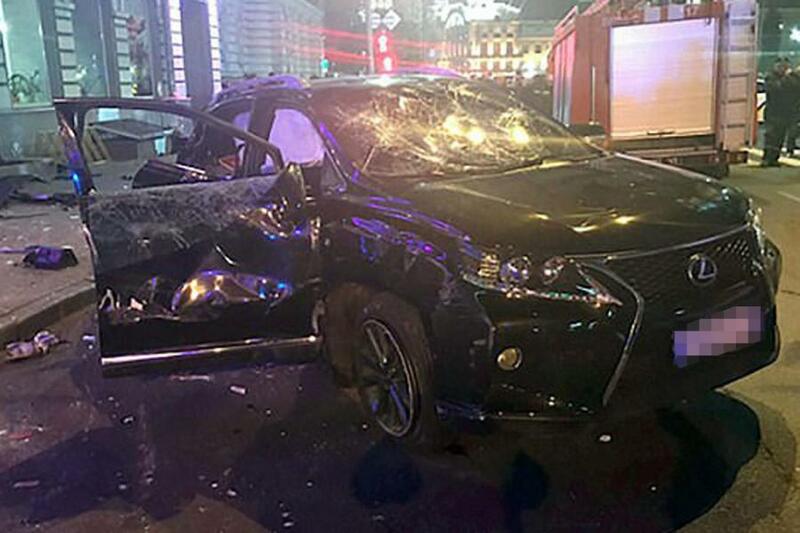 The Evening Standard say the Lexus had reportedly flipped onto the pavement after hitting another vehicle. Witnesses also said the driver – allegedly the daughter of energy company millionaire, Vasily Zaitsev – had to be protected by her private security crew as angry bystanders surrounded her. Zaitseva was reportedly detained at the scene and held for three days by authorities. Reports say there are ‘up to six dead’, including a 15-year-old girl, and ‘several more’ people have been left injured. 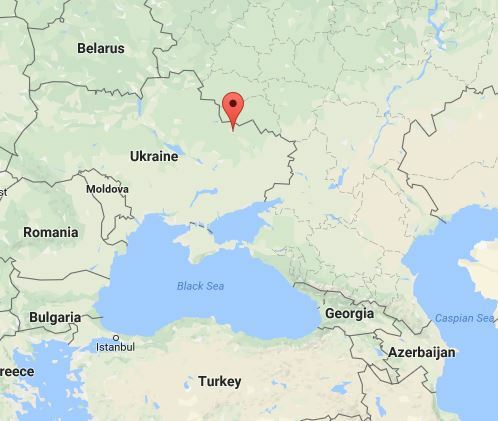 Three of the dead have been named as 25-year-old Elena Berchenko, 24-year-old Yury Neudachin and 36-year-old Oksana Nesterenko. Ms Zaitseva was reportedly uninjured in the crash. Local media reported the car collided with a Volkswagen Touareg in Sumskaya Street, before losing control and spinning into people on the pavement. These reports have since been confirmed by the Interior Ministry, who said the Lexus had ‘run a red light moments before the collision’. Police said after running the red light and hitting the Volkswagen, the Lexus crashed into a crowd of people who were waiting for the lights to change so they could cross the road, writes the Express. A statement from the Interior Ministry said a driver had been detained and is ‘being investigated for traffic safety violations’. This, according to the Evening Standard, suggests Ukrainian officials do not suspect the vehicle targeted the pedestrians as part of an extremist plot or terror attack. This terrible video of the Kharkov tragedy should become a mute reproach to all those who exceed the speed and seek to save a few seconds by driving on a flashing yellow traffic light. It is better not to look faint-hearted. PS For the last two years, the driver of the Lexus 8 !!! Once detained by the Kharkov patrol police for violating the rules of the road. Starting from driving to red light, speeding and ending with a violation of parking rules. Every time she was fined 255-510 hryvnia. However, this had no educational effect. Conclusion – you need to radically change the system of punishment for violations of traffic rules in the direction of their tightening. 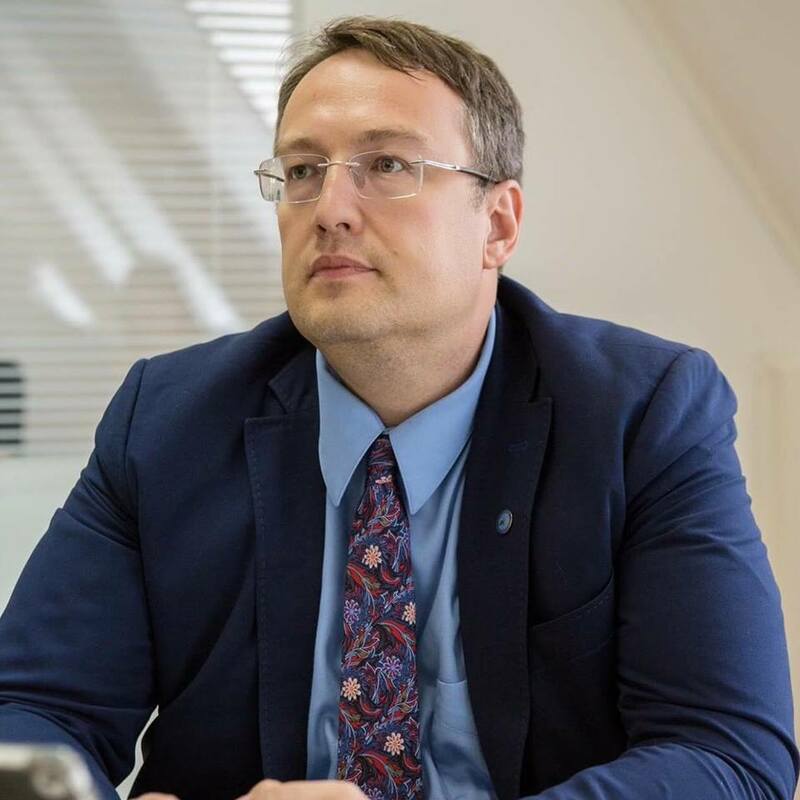 In addition, we use the Polish experience, when for a set of violations of traffic rules the driver must lose his driving license before retaking the exams. If Zaitseva is convicted, she’ll face up to ten years in prison.